Nitrous Express Nitrous Accessories - Solenoids - Pann Auto Performance - San Diego largest aftermarket automotive performance parts - What do you drive? NEW “Lightning Series” solenoids from Nitrous Express are the highest quality, made in the USA, solenoids in the market. Nitrous Express solenoids have color anodized and laser marked The aluminum bodies, topped with Carbon Fiber cans for the ultimate in weight savings. Each solenoid has a purge or bypass port built in, and a bottom exit for flow unmatched by any other solenoid on the market. A guarantee to outflow any comparable solenoid. A 100% aluminum body, and a proprietary seat material that resists leakage even when damaged by foreign debris. Lightweight Carbon Fiber solenoid cans to complete the package making it the lightest solenoid ever manufactured. 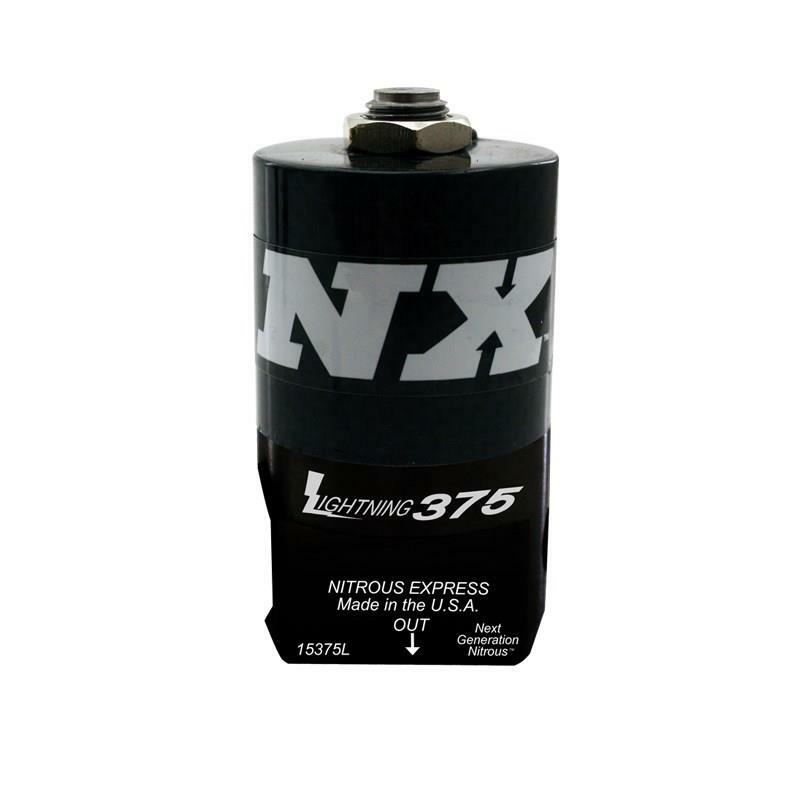 The NX exclusive design that allows a fl ow through purge to give a 100% pure nitrous charge at the solenoid orifice. This insures the hardest hit in the industry! Built in fuel bypass port in the fuel solenoid. When only the best will do it had better be Nitrous Express!